Lying on the far Eastern border of France and spilling into German territory lies the bountiful region of Alsace. The area comprises of the Rhine and Mouselle Rivers which course through thick pristine forests. While Alsace has maintained its own predominantly French culture over the centuries, it has had a strong German influence due to its shared border and strong trade history. Today the towns that make up the area’s combined culture and history showcase a fantastic balance of historical and modern offerings for visitors to enjoy. Let’s take a look at Alsace’s 4 main cities and towns along its waterways. Besides being the capital of the European parliament, Strasbourg is one of the most historically and culturally unique cities in all of Europe. Sharing a border with both France and Germany, the city is the capital of the original Alssatian culture that combines the food, dialect and architectures of both Germany and France. The city has seen many takeovers over the centuries, not only because of its strategic position, but also for its unique fertile farming land that create unique blends of wine. 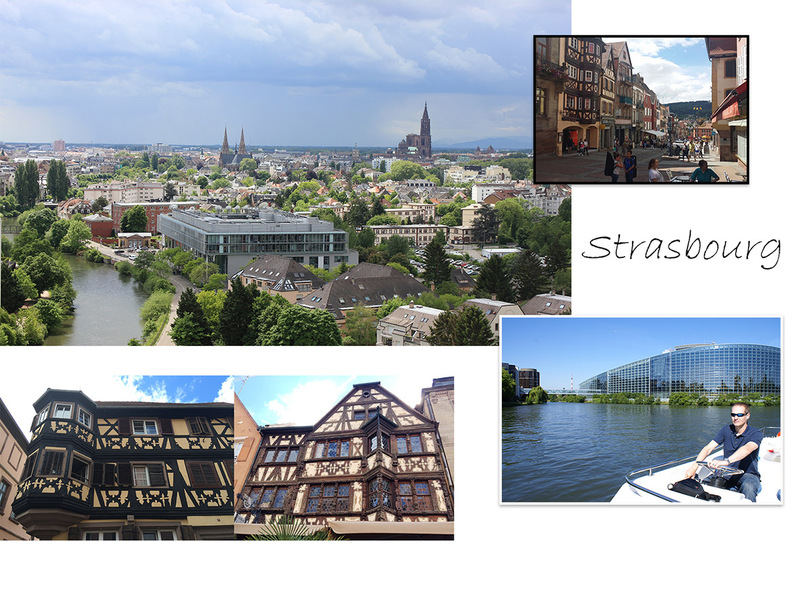 Strasbourg is also the only city that is an official UNESCO site and you can view the wealth of the city’s history by its marvellous mixture of medieval, renaissance and Art Nouveau architecture. The food here is also a fantastic mixture of hearty German, but finished off and refined in the French style. The vineyards here produce some of the very best wines such as pinot noir that you can discover along the Wine Trail that goes through the region. Be sure to try their signature tarte flambé, choucroute and kougelhof. At midday you can watch the famous Astronomical Clock and its mechanical procession at the beautiful Strasbourg cathedral. There are plenty of museums, streets and the old French town to explore on foot! Saarbrucken is a small city located on the German border but where many of the inhabitants speak German with a French accent. The area has long been inhabited by the Celts and Romans and it once flourished as a coal mining area. The city was heavily raided and bombed during the World Wars, and only a few original buildings remain in the government district. The city has a rich industrial history and you can visit up to 8 UNESCO sites that tell of the town’s significance through the centuries. Excellent restaurants lie in Saarbrucken and you can enjoy superb traditional German cuisine. Hikers and outdoor enthusiasts will enjoy a variety of trails in the beautiful forest that is located around the town. Metz is located in the Grand-Est of France and lies in the Lorraine region. It has always been a favourable location to settle in by those who have ventured across this land. Metz’s main industry is steel, and the resource has been long mined since before the days of the World Wars. 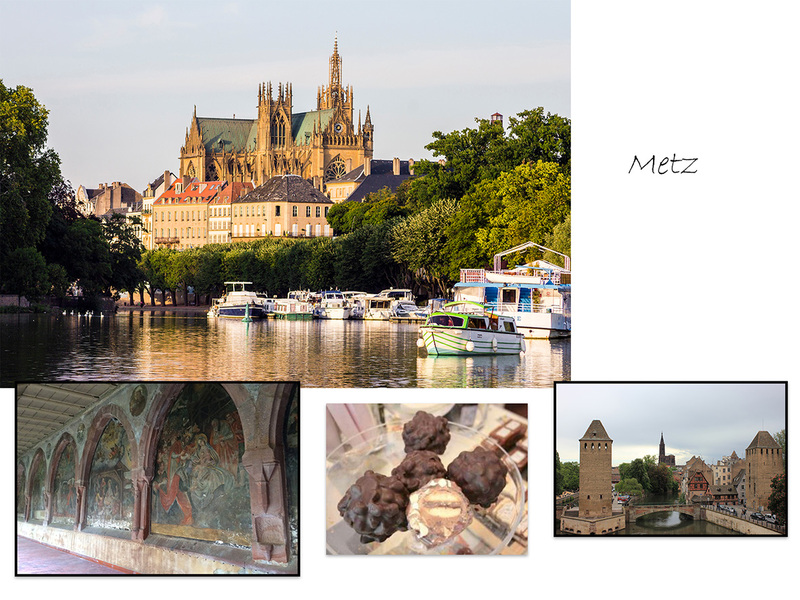 Today Metz showcases beautiful architecture from the days the Romans settled down their fortified walls, through to the marvellous vaulted arcades designed by the Knights Templar during the crusades. This town’s treasures truly lies in its beautiful history and its mixed cultures which also adds an extra twist to its cuisine. Visitors should try the pate and suckling pig dishes with their infamous Metz Balls for dessert. Transport in the city is excellent and you can practically explore it in one day. Visitors’ can start at the ultra-modern Pompidou and venture down to the popular Covered Market place! Lying further in toward France, Nancy is one of the few cities to remain completely French throughout the centuries. This is largely due to the fact that the early kings of the 18th centuries failed to produce male heirs and so Maria Therese married into French sovereignty. Since then the town flourished in Baroque culture under the rule of Louis XV. The Chateau de Luneville lies testament to the town’s early influence under Baroque architecture. 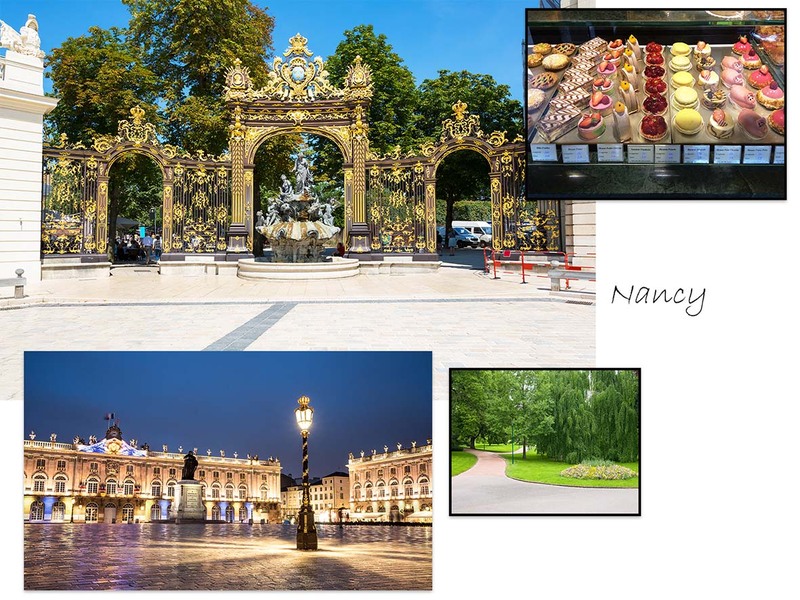 Nancy’s top tourist sites include museums that were once personal homes to the sovereign, the Church of Bonsecoepours, the historical Place Stanislas and the vast botanical Garden of Montet! Parc de la Pepinere is a delight for the kids, with mini-golf facilities, puppet shows during the holidays and farm animal interaction! Explore the beauty of the Alsace region and it's marvellous culture and food.